When I travel, I like to experience as much as possible. This time, I experienced more in a little over two weeks, than in past visits going back months. I dined like Guy Fieri, took a ferry across the San Francisco bay, received the Zagat “foodie” FourSquare badge, visited a real California gold mine with dangerous mountain lions lurking, enjoyed the most awesome apple pie, and visited a casino. The first stop was Putah Creek Cafe for lunch, in the city of Winters, because family suggested it. They had seen the show Diners, Drive-ins and Dives with Guy Fieri. He went to Putah Creek Café and really enjoyed their fare. This town is a lot of fun for picture taking opportunities. One family member ordered the egg scramble pictured here and I ordered the open-faced steak sandwich. 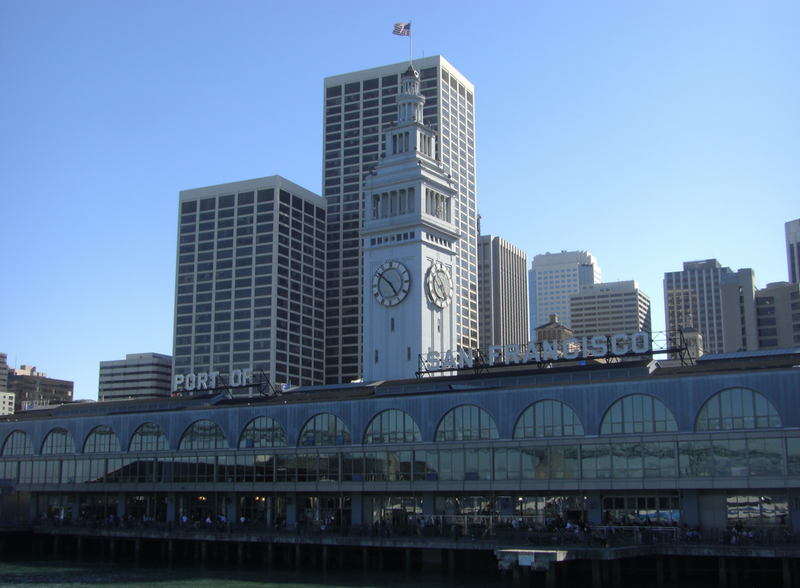 We then decided to take a ferry trip across the bay from Vallejo, to Pier 41 and stay on the ferry until we reached the Port of San Francisco. We arrived to the waterfront marina area in Vallejo, CA around 2:00pm. The marina has the most convenient free parking I've experienced for any transportation in and around the San Francisco Bay Area. They even allow the vehicle to sit overnight, in case your time in San Francisco goes all night long. I picked up the ticket to the Bay Link Ferry, which cost $24 for the Day Pass. A reduced fare pass is $13. 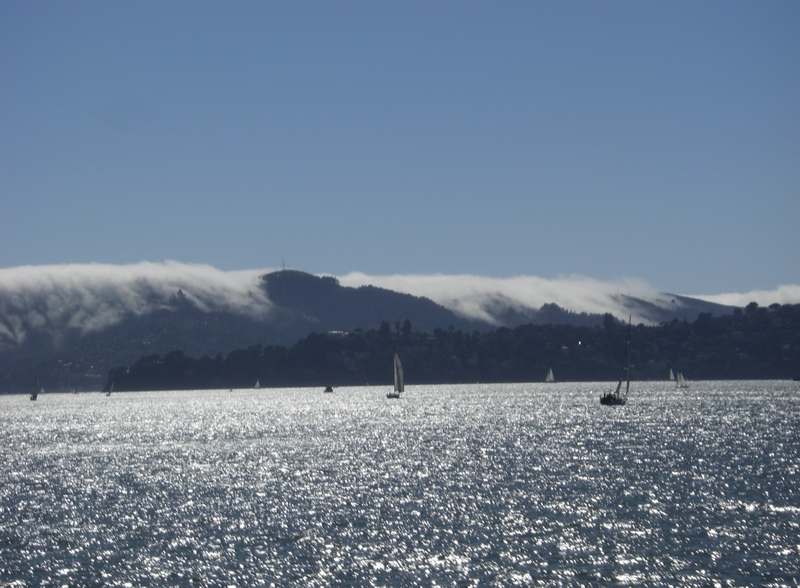 They also offer passes to Angel Island, SF Giants Game's, and Six Flags Discovery Kingdom. To find out more about the tickets and their current pricing at this link. Everyone boarded the Bay Link Ferry at 3:30 pm and I was told that the second story, especially outside, is fun. I noticed that there is an area on the Ferry where it's perfect to take photos while en route. There were several abandoned buildings; the Vallejo Shipyards, C & H Sugar Co and Carquinez Bridge were in range of my point-and-shoot camera; see the pics here. If you do decide to stay outside during the trip, be careful the wind is very strong. 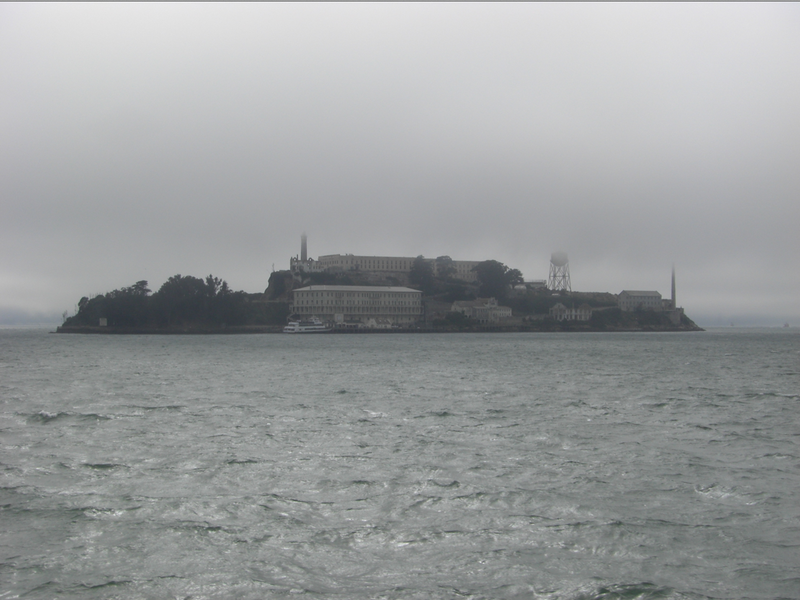 The best shots I was able to get were when we passed the East Brother Island Lighthouse Inn, Angel Island complete with rolling fog, went under the Bay Bridge and then, past Alcatraz. Alcatraz We arrived first at Pier 41. 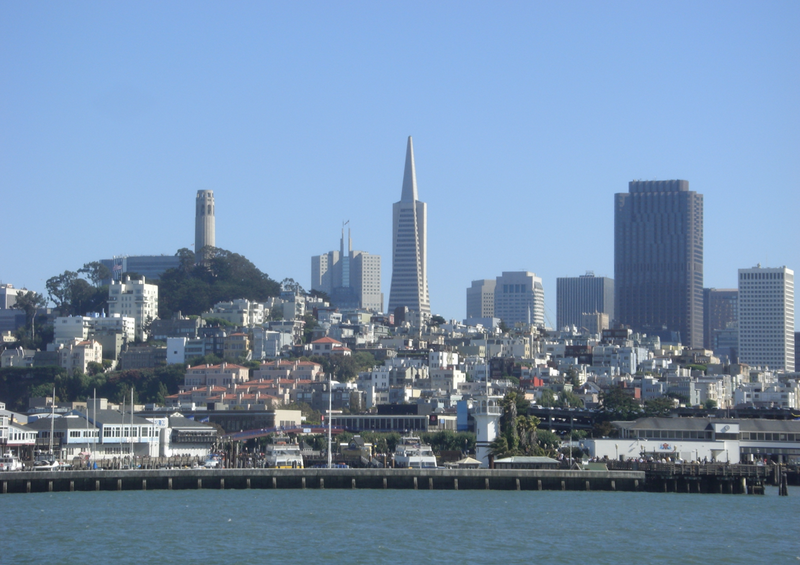 You can get off here, which is convenient for people who want to visit the hustle and bustle of the famous Pier 39, Fisherman's Wharf and the most excellent Ghirardelli Square. Pier 39 is most known for their various shops, sea lion watching, street performers, while Fisherman's Wharf is known for the seafood restaurant's and a real working bakery inside of Boudin, who’s known for their chowder in sourdough bread bowls. If you haven’t enjoyed chowder inside of a bread bowl, try this restaurant first. San Francisco, CA If you feel adventurous, walk a few blocks towards Ghirardeli Square. 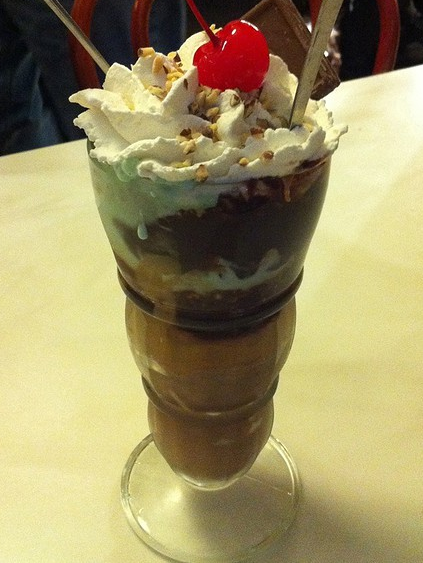 Be sure to get a sundae when you visit Ghirardeli, I got the Strike It Rich. My version of the sundae includes delicious layers of peanut butter, fudge, nuts, rocky road and mint chocolate chip ice cream topped with whipped cream, a chocolate square the ever-important cherry. “As I stepped through Gate B at the Port of #SanFrancisco, I understood a little bit of what my great, great, great grandparents felt arriving at Ellis Island. I had a sense of excitement as I breached the granite & metal doors to new possibilities. Today, I was an immigrant. 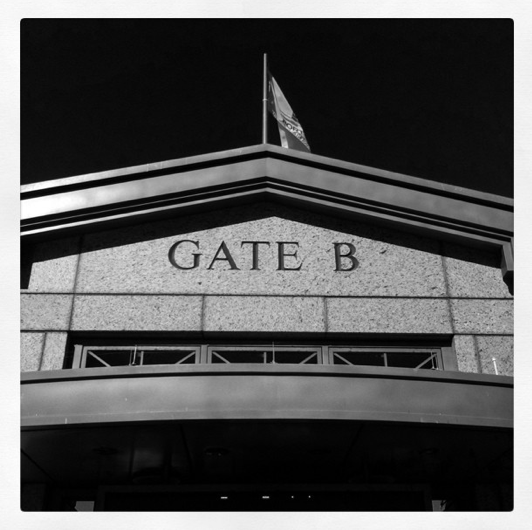 #travel”Then, it was time to find a few more photo opportunities inside and around the Ferry building. We explored the Ferry building, plus its many shops. We ended up at Gott's Roadside Restaurant for dinner. Or as they say, “tray gourmet.” You can't miss Gott's, it has a giant red neon G at the front door. During the trip, I checked into places on FourSquare to keep track on "where I've been." After checking into Gott's, I received the Zagat "Foodie" badge. This was exciting because I had been trying to earn it while in Las Vegas. Now nearing the end of the Northern California trip, the family and I decided to go for brunch in Auburn. 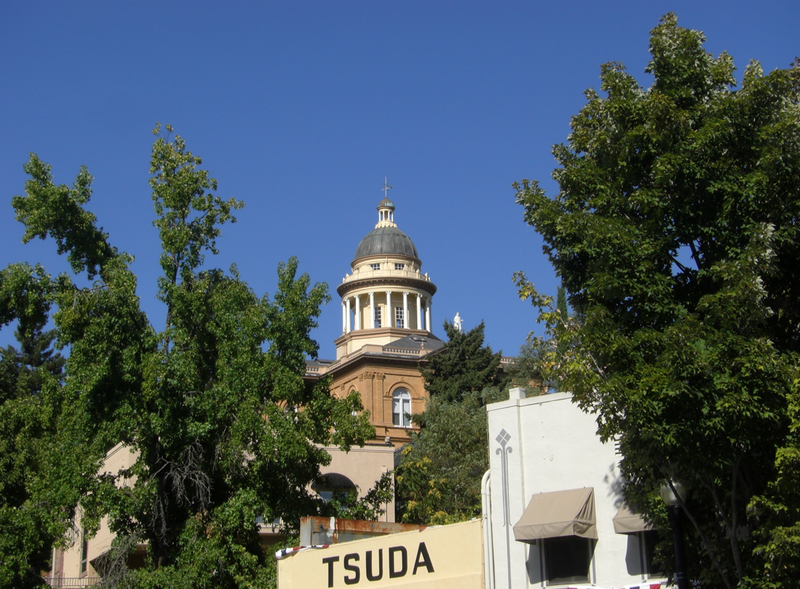 Auburn is one of California’s former State Capitals and was the scene of a real gold rush that started in 1849. Quaint shops, old time bars, a central post office and antique stores dot a hill that goes up towards the fair grounds. Many years ago, the fair grounds were where the California State Gold Panning Championships was held. Auburn, CA Visiting Auburn gave me gold fever. I’ve felt gold fever before and the only way to cure is to get more cowbell. More cowbell is a visit to a real California gold mine. We went to Placerville, which is an hour drive from Sacramento, then made it to the Gold Bug Mine. It was a cool place to see, but we arrived there a little later than we wanted, so we didn’t get to see much of the mine. The gift shop has some cool gold specimens for sale and gold prospecting related literature. If you want to have a picnic in the area, be aware that mountain lions have been seen around. 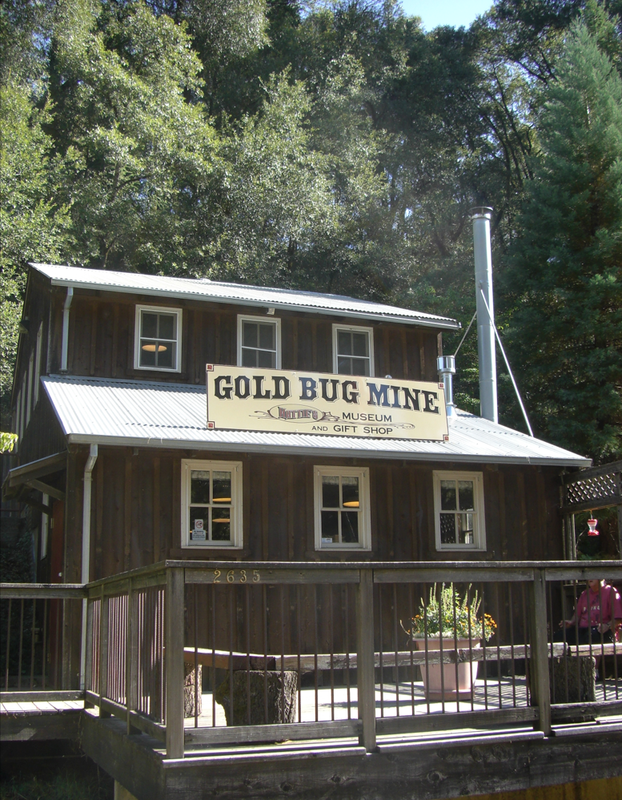 Gold Bug Mine The weekend is a great time to be in the Placerville area. This city is also near an area known as Apple Hill. I’ve been to the area a few times, for the most amazing apple pies. 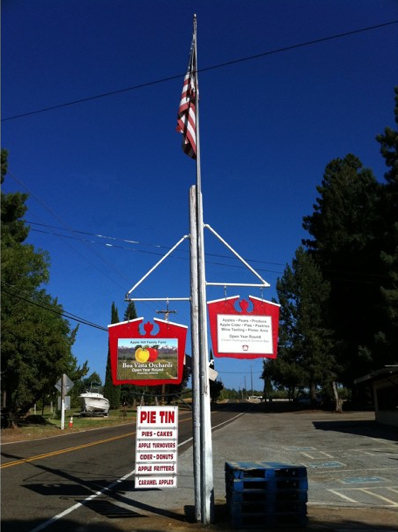 Several places sell apple pies, but the best I’ve had yet is from Boa Vista Orchards, at their shop, called the Pie Tin. The apples, in their standard pie, literally melt in your mouth and that’s when the pie is cold! Boa Vista Orchards, Apple Hill, CA The final stop on the way back from Placerville, was a new casino called Red Hawk. It has a lot of parking, a generous player’s club for new members. Red Hawk is clean and is similar to those that you would find in Las Vegas, which cater to locals. I would definitely go back and bring friends, especially for the view from the parking garage. 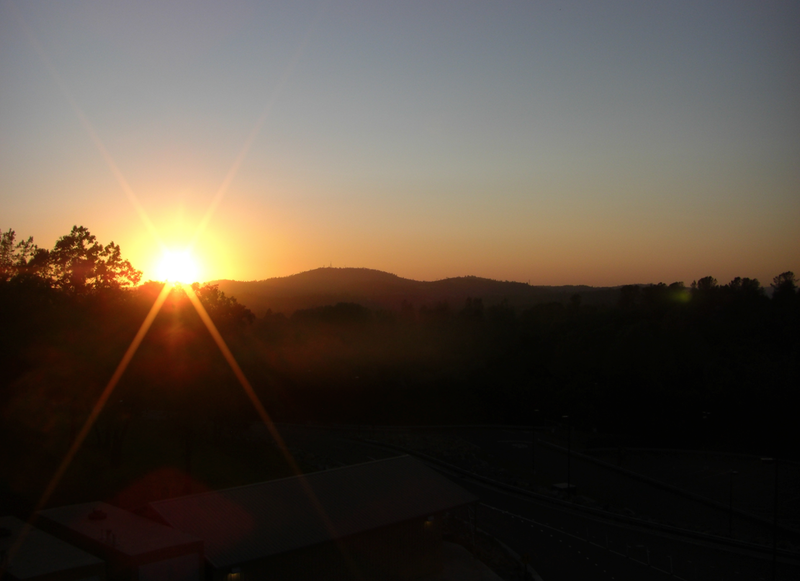 You can see miles of rolling hills and if you are there at sunset, it’s an even more amazing. Sunset at Red Hawk This was one of the best adventures through Northern California that I have experienced in years. It was fun to enjoy time with family and friends, while sharing all of the experiences through Twitter, Facebook, Instagram, FourSquare and many other social networking sites. Being able to connect with multiple different groups on each service and via the social web was one of the best parts. Friends online shared their tips with me, while headed to or after arriving at the destination. This made my Northern California trip one that family, my friends, followers and I will remember for many years to come. Christopher Rauschnot is an accomplished social media and engagement consultant. He has made a positive impact in the hospitality, travel, nightlife, entertainment and technology industries. He has been directly involved with the creation of several corporate media policies and is a conference speaker. Most recently, he participated in a panel at the 2011 CES titled “Social Media In Action: Philosophies, Strategies and Tactics That Consistently Win.” He is an active user of Twitter at@24k and@24kMedia and he has a 24k Media Facebook Page. He blogs about technology atTheMacWizard.com and social media on theHuffington Post .